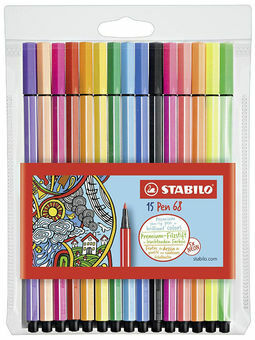 If you are looking for countless drawing options and high efficiency, STABILO Pen 68 is going to be your new best coloring friend. It was this fibre-tip pen that gained STABILO its reputation for unbeatable German premium quality since 1966. This product will really surprise you with its high performance – 24-hour cap off time, water-based odourless ink, high brilliance and luminosity.